There is no denying that 2018 was quite the year – especially in the world of social media. With hot new discoveries, technological advances… and even more selfies (it’s okay – we take them too!). Now, you’re probably wondering what in the world could come next that will be even bigger & better than this year… well, without a time machine we can’t really know for sure. BUT we do have our predictions and thoughts as to what social media trends are on the horizon for 2019, and we’ve neatly compiled them for you below. First, let’s take a look at the hottest social media trends that came out of 2018. 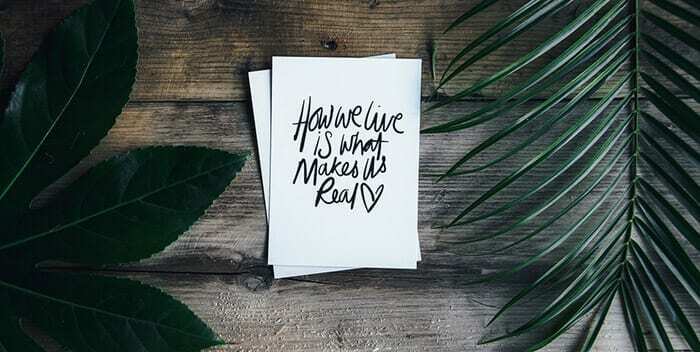 In addition to posting about your daily routines and rituals, the introduction of live video allows users to actually engage with the audience… while performing them! Live video content started making big waves in 2017 and it’s no surprise that this trend continued to gain momentum as a top social trend for 2018. Live video content has become SO popular, that roughly 95% of brand executives have included it as a crucial part of their 2018 marketing strategy. Now, was this a successful ploy on their part? 100%. Consumers love it! Research shows that 80% of audiences prefer watching live video as opposed to reading a blog. And 82% of consumers say they would rather watch live videos than read social media posts. All of the most popular social media channels have now implemented live streaming, and we can almost guarantee this strategy will continue to gain momentum as a 2019 social media trend. They are exactly what they seem. Instant messaging robots sent from the future to read your mind and bring up questions you haven’t even thought of yet. Ok maybe they’re not exactly robots (but that sounds cooler!) Internet chatbots have been around for a long time going all the way back to the days of AOL instant messenger. Overhauled and evolved, chatbots now play a big part in social media with businesses using them to communicate with their customers. In the first year of the new Facebook Messenger platform, the number of chatbots jumped from 33,000 to more than 100,000! With seemingly endless possibilities for their use, chatbots are a social media trend that doesn’t seem to be losing any momentum. As if we needed another outlet to watch TV on… Ok, who are we kidding, of course, we did! And we are loving every screen time minute of it. In June of 2018 Instagram announced this new feature, and unlike traditional television, IGTV allows users to post videos up to an hour in length – completely free! The feature exists within the Instagram app, as well as a stand-alone app. Videos can also include features such as a swipe-up call-to-action (for verified accounts), increasing engagement between the IGTV user and their audience. You know those chat filters that make you look like you’re wearing a crown of roses? And bunny ears? Oooh and the one that makes you look like a dragon and when you open your mouth a burst of flames comes out? That my friend, is Augmented Reality – and it is taking over like a crazy winter storm. Augmented reality takes something that’s real and alters it using technology. From the start of the year, augmented reality (AR) was heralded as a trend to watch in 2018. While AR became mainstream with the 2016 craze surrounding the Pokemon Go app, in 2018, social platforms continued to hop on the facial expression enhancing bandwagon. Examples include: -iPhone X featured anamojis -Snapchat bitmojis -Facebook & Instagram Story Mode / Chat features. While AR is still in the so-called “early stages”, this social media trend has the potential to be revolutionary. It can provide innovative ways to reach and engage audiences, blurring the line between the digital and the real world. Facebook has partnered with more than 700 brands and is currently putting together it’s future AR plans – and our faces can’t wait to see what comes next! There is just something about the convenience of “tapping” a product and getting redirected to all of the pertinent details – right from your phone! Product tagging is everywhere making our news feeds the new “storefront” for brands. One in four people admit to having purchased a product or service via social media – and with the continuing rise of social e-commerce, you can only imagine that number will increase by the end of the year. 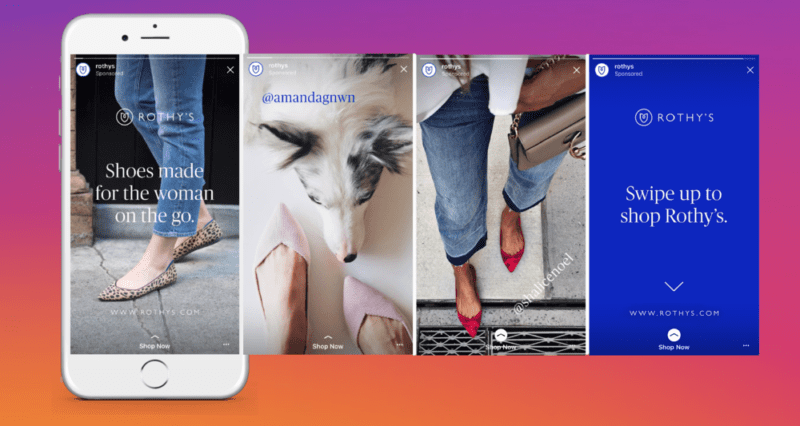 This year, shoppers and brands rejoiced as Instagram extended its shopping experience adding a dedicated feed under the “Search & Explore” tab, and also adding shoppable tags to posts & stories. Advertisers can now tag up to 5 products per post and 1 product per story. Users that click on a tag are able to view a product image, a product description, the price of the product and a link to where the product can be purchased. According to BI Intelligence, the top 500 retailers earned an estimated $6.5 billion from social shopping in 2017, up 24% from 2016. Proving that a seamless shopping experience is crucial on social networks! As we explored above, video content has been on the rise since 2017. And it’s a social media trend that will NOT be slowing down in 2019! From our phones to our laptops & tablets, video content has taken over our screens. Our magic eight ball tells us that in 2019 we can see video content becoming more searchable in platforms other than Google, and more video being shot in a vertical format so that it is easier to watch on mobile screens. Experts say that soon 80% of what we consume on a daily basis will be video content. And, while us users consumer more video… only 60% of marketers are using video in their marketing strategy, according to the Content Marketing Institute. Still not convinced that video should be a part of your 2019 social media strategy? These numbers are the icing on the cake: -70% of consumers say that they have shared a brand’s video -79% of consumers prefer watching video to reading about a product and -84% of consumers have bought something after watching a video. Lights, camera, ACTION! You may be wondering, “why is vertical such a big deal”? We’re glad you asked. There is nothing worse than watching a video that doesn’t fit your screen properly, and since people are more likely to use their mobile devices in a vertical position… videos should be shot and uploaded in the same position. This quote from Plannable’s Vlad Callus sums it up nicely… “If you’re still not on IGTV, it’s time to hop on the train. When thinking about the upcoming trends in Instagram marketing I believe IGTV and Instagram Stories are on the top of the list. 30 minutes of pure advertising – would you listen to it? Turns out a lot of people would – and already ARE! If the content is engaging and fun to listen to, you’d be surprised how many people will listen to it, and that’s exactly what you can look forward to in 2019. As we transition into 2019, expect to see more brands engaging in this form of branded storytelling. 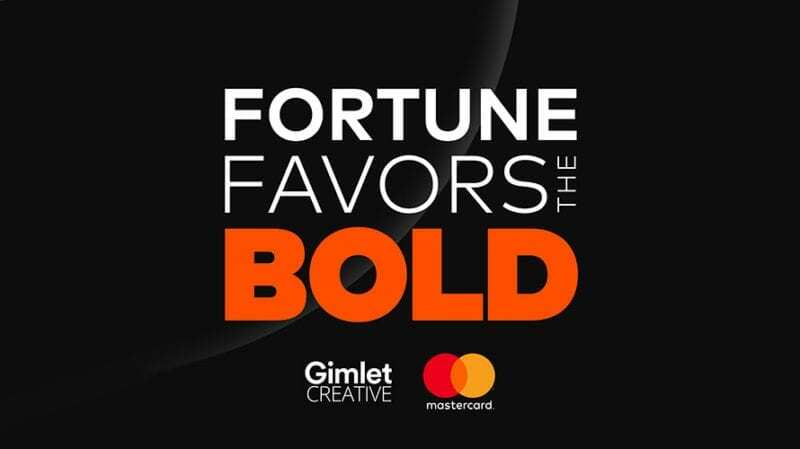 Branded podcasts leave a whirlwind of opportunity with no character restrictions, and more room for creativity allowing brands to share more information – in a more enticing and FUN way! Are you using Instagram Stories? Well, you should be! Instagram Stories has become one of the most important parts of the platform since its launch, as a great way for day-to-day users as well as advertisers to deliver straight-to-the-heart messages to their audiences. 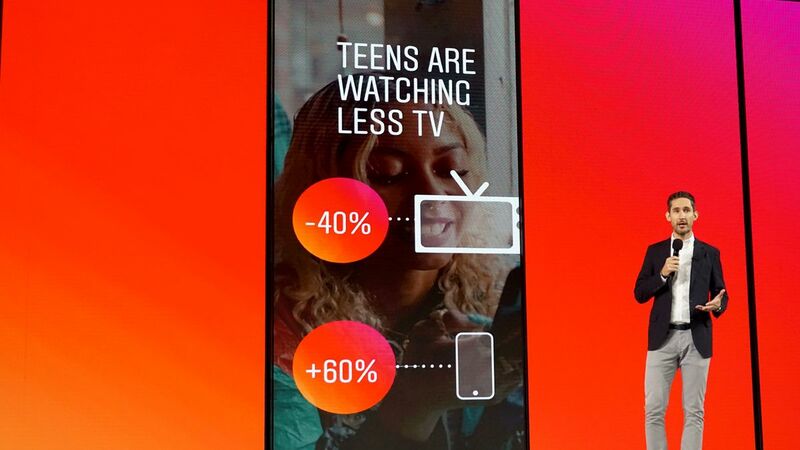 Stories ads will allow businesses to insert banners between the slides of other people’s Stories.The paid option will allow for full-screen banners. While you may already see an ad here or there, you can expect to see more of them as the year goes on. Strategy tip: In order for your ads to convert, they should be top notch in terms of design, look and feel. If it’s too “salesy” the user will just “tap” on by. But, if the message is catchy/heartwarming/ or something of use to the user, they will stick around – and hopefully, swipe up for more info! Social media influencers have become a MAJOR trend. We now have Instagram stars, Twitter influencers, YouTube millionaires. All people who have millions of followers – their every post, or vlog, or tweet is instantly seen by the number of people TV ad makers could only dream of. It was grand and revolutionary when the power of social media influencers became clear to everyone – and it still is – but, good luck affording a big one! As the number of social media influencers has grown over time, so have the prices for their services! That’s lead more businesses to look at other alternatives, including micro-influencer marketing. As opposed to major influencers, micro-influencers exist in every marketing niche. They have followings of fewer than 10,000 people, but most of their followers are genuinely interested in what they have to say. And they’re very engaged – micro-influencers are often considered experts in their niche. These smaller names are not massively targeted by advertisers, so they are trustworthy and down-to-earth. The marketing potential is very high and marketers are about to recognize this in 2019. Studies show that users are now spending more time messaging – and less time sharing news on social feeds. With 9 out of 10 consumers who would rather use messaging to communicate with businesses, according to a survey of 6,000 people globally. In a 2018 survey of 8,000 people conducted by Facebook, 69 percent of respondents said that direct messaging with a company helps them feel more confident about the brand. So, what do you do – use a messaging app? Spend more “real-time” chatting directly with consumers? A combination of both can be quite beneficial. -Ensure your Facebook messenger is enabled on your business page and set up an instant reply for when users send you a message (and don’t forget to add plugins to your website) -Dedicate a team – and a schedule – for live conversation and clearly post the schedule both on your website and social media. -And, because your team has a life and can’t be online at ALL hours of the day, have a bot set-up to answer frequently asked questions in the “off” hours. With the controversies and debacles that took place over the past year, consumers, regulators and media observers have begun questioning the privacy, accuracy and ethics of nearly every social network. Which means, there is a serious lack of trust moving into 2019. Users have grown distrustful of many media and celebrity influencers (whose followings, it turns out, are often bought or fake). Trust has reverted back to immediate friends, family, and acquaintances on social media, as well as traditional and trusted journalism outlets. So, as a social media marketer, you’re going to have to work even harder in 2019 to regain some of that lost trust. It’s time to focus less on maximizing reach, and more on generating transparent, quality engagement. Work at developing intimate, meaningful dialogue with smaller, more valuable audience groups. Share insightful and researched content—then getting out of the way and letting passionate users talk to one another. Create a branded hashtag for Instagram aligned with community values. Take part in (or run) Twitter chats. Build a Facebook Group around a core audience interest. Run monthly Facebook Live Q&As sessions around commonly asked questions. There you have it – the best of 2018, and the future of 2019. We wish you every success, and look forward to seeing what the New Year brings!